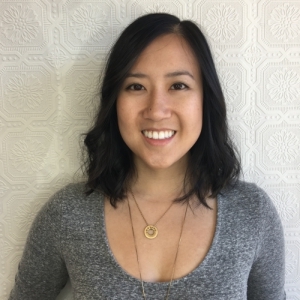 Karen Chan is the Director of Emerging Channels at MediaMath, one of the leading omnichannel DSPs in the world. Focusing on Digital Out of Home, Audio, and Augmented and Virtual Reality, she is building up the capabilities for marketers and agencies to diversify, expand, and try out different programmatic channels to reach their audience. Not only is she helping brands run their marketing campaigns, but she will make it easier for brands and marketers to compare their various cross channel strategies equally and attribute their ROI accordingly. Since graduating the University of California, Berkeley, Karen has touched many facets of advertising at the beginning of their explosion in the industry. Starting her career as a media planner of display ad networks and virtual worlds at Alloy Digital (now Defy Media), she moved to develop high impact roadblocks, sponsored editorial content, native placements, social and influencer programs, and conference and event brandings at SheKnows Media. She has worked with a variety of agencies and brands including Henkel, Universal Pictures, NBC, P&G, Best Buy, and Toyota. Most recently at Tremor Video DSP, Karen revamped the new product positioning for one of the last independent video-only demand side platform focusing on mobile video and CTV. She managed the audience data partnerships, including location data providers, closed loop sales attribution players, research groups, and verification companies dealing with fraud and viewability. As the lead internal product marketing consultant, Karen often created strategic managed service plans to help clients like Subway, Hershey’s, ABC, and JP Morgan Chase. Now living in New York, she is using her deep knowledge of the digital and programmatic ad tech space in helping build up the programmatic Digital Out of Home. She is a member of the DPAA and WE.DOOH, a new networking group for women in the Digital Out of Home industry.